Bismuth atoms have 83 electrons and the shell structure is 2.8.18.32.18.5. 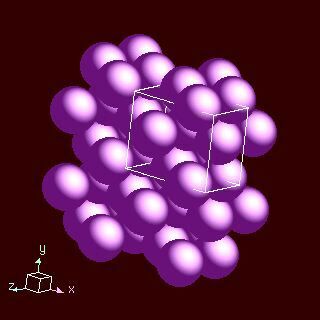 The ground state electronic configuration of neutral bismuth is [Xe].4f14.5d10.6s2.6p3 and the term symbol of bismuth is 4S3/2. Bismuth: description Your user agent does not support the HTML5 Audio element. The solid state structure of bismuth is: bcc (body-centred cubic). 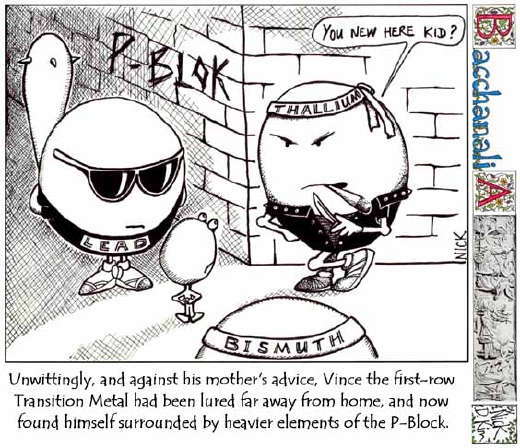 Bismuth has no biological role. However it has been used for some time as a medicine (tripotassium dicitratobismuthate) for treatment of stomach upsets. In combination with antibiotics it is now used for treatment of some stomach ulcers. It is also to be found in haemorrhoid creams such as Anusol cream and Hemocaneas as bismuth oxide and in Anusol ointment as bismuth subgallate. Reactions of bismuth as the element with air, water, halogens, acids, and bases where known. Binary compounds with halogens (known as halides), oxygen (known as oxides), hydrogen (known as hydrides), and other compounds of bismuth where known. Bond strengths; lattice energies of bismuth halides, hydrides, oxides (where known); and reduction potentials where known. 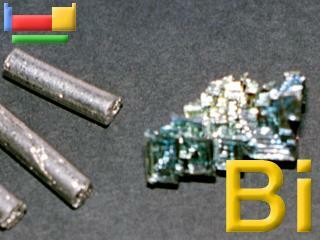 Bismuth was discovered by known since ancient times in unknown at not known. Origin of name: from the German word "bisemutum". 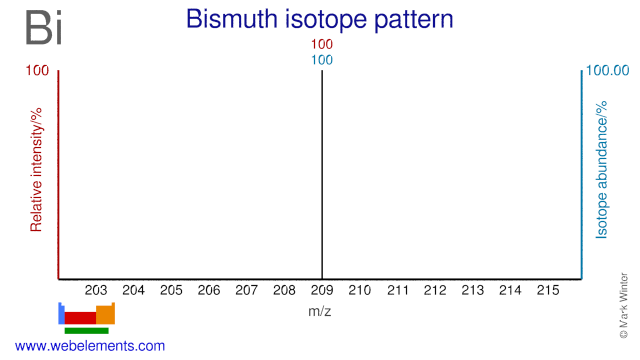 Isotope abundances of bismuth with the most intense signal set to 100%.